A roundtable discussion with Tim McNeill, Reginald Ray, Tenzin Palmo and Sangye Khandro on Tibetan Buddhism’s reception in the West. Melvin McLeod, editor of the Shambhala Sun: Tibetan Buddhism is popular in the West today, but perhaps many people are not clear what defines Tibetan Buddhism. To begin with, what feature of Tibetan Buddhism do you think differentiates it from other types of Buddhism or other spiritual paths? Sangye Khandro: I would say it is the profound blessings of the lineage of teachers, which one encounters through meeting one’s own spiritual teacher. I became involved with Tibetan Buddhism because there were such profound, authentic teachers to connect with. And of course the teachings followed from that and were just as extraordinary. One discovers that the path of vajrayana leads to liberation in one lifetime—if one is able to maintain the connection with the spiritual teacher that started the whole process. Reginald Ray: Tibetan Buddhism, like many other religions, has a comprehensive array of teachings, about practice, study, community and so on. But I think its unique feature is that it is a completely living tradition. It is absolutely vital and alive. That level of vitality and direct connection with the original spirit of the tradition is unusual among the world’s religions. Melvin McLeod: What is it that defines vitality or lack of vitality in a spiritual tradition? Reginald Ray: Personal transformation and realization is at the heart of it. Because there is a living lineage that embodies the tradition in its entirety, it can communicate a very deep level of realization to new students, and provide a path for them so they can obtain the same realization. Tim McNeill: Meeting my teachers, Lama Yeshe and Lama Zopa, was the most profound experience of my life and the event that brought me to the Buddhist path. Beyond that, what I find unique about Tibetan Buddhism is the body of writings that have been preserved. 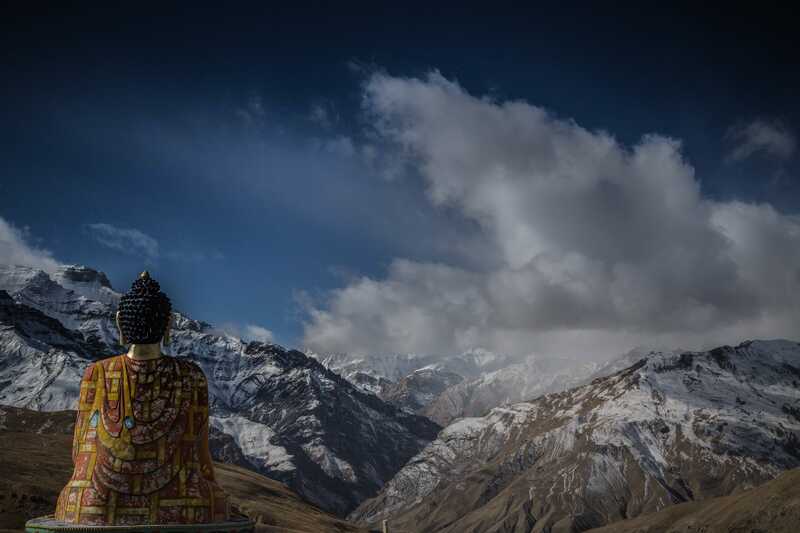 There is a body of literature—most of it not even accessible in Western languages yet—that is pretty extraordinary and a special feature of Tibetan Buddhism. Tenzin Palmo: I would add that there is also the supermarket aspect of Tibetan Buddhism, because it contains the fullness of all the traditions. Everything is there in 57 different varieties. But I don’t know just how that will continue. The problem is that Tibetan Buddhism was so perfect for Tibetans, but whether or not the way it is packaged is perfect for Westerners—given the kind of society we have, with the kind of education and background we have—is hard to say. Melvin McLeod: Yet Tibetan Buddhism does have considerable caché at this point. Would any of you like to speculate about the reason for the popularity of Tibetan Buddhism in the West? 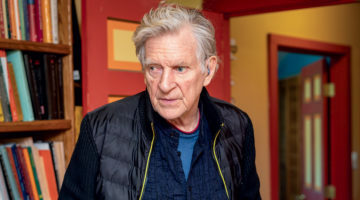 Tim McNeill: As someone who has been involved with Tibetan matters for 30 years, both politically and in terms of the dharma, I would say it’s important first to acknowledge that a lot of groundwork was laid by many dedicated people to get where we are now. Then in recent years, of course, there has been a more visible geopolitical aspect to it, with the prominence the Dalai Lama received after being awarded the Nobel Peace Prize. In our celebrity-oriented society, that kind of thing certainly has contributed to the growing popularity of Tibetan Buddhism. There is also the very colorful image projected by Tibetan Buddhism in all its many forms. There is an allure, almost a video-like image of Tibetan Buddhism, that I think is conducive to celebrity—which is of course the superficial side of the whole thing. But as far as what draws those who genuinely connect with the tradition, I would come back to the teacher. Then, of course, Tibetan Buddhism is so colorful. When I first came to the dharma in the late fifties and early sixties, Tibetan Buddhism was regarded as something very esoteric and far out, a pretty degenerate form of Buddhism. But at that time nobody knew very much. Then in the late sixties we hit the whole psychedelic era and many young people were taking acid and traveling on the hippie trail to India and Nepal. Suddenly they met with Tibetan Buddhism and it was love at first sight. All of their psychedelic visualizations made them feel completely at home. They began a love affair with Tibetan Buddhism. Gradually they would warm to its deeper aspects. Tibetan Buddhism is like a flower. You take away petal after petal after petal. There are so many layers; it is so vast and so deep. You can never get to the end of it. In that way, it constantly challenges you. Reginald Ray: We might ask why this colorfulness has such an impact in our culture. Tenzin Palmo: Maybe it’s because our culture is so gray. Reginald Ray: That’s it, I think. In the beginning, students I work with are attracted to the vitality and color of the tradition. What I think they see is an invitation to deepen their experience of being alive. One of the aspects that keeps them engaged, as Tenzin Palmo just mentioned, is that the further they go, the more they find that Tibetan Buddhism has keys to unlock doors to deeper experiences of being a human being. Often people criticize the attraction we have to the exotic but I think there is some real spiritual meaning behind it. This tradition in particular can deliver. It opens doors into a new world and that engages people. Sangye Khandro: Vajrayana is also referred to as secret mantra. People are always attracted to that which they don’t know about, or which may be concealed or hidden. In this case, they have yet to connect with intangible, unceasing wisdom qualities, which are a self-contained secret until they enter as students through empowerment and begin to practice under the guidance of a qualified teacher. Melvin McLeod: We have agreed that the teacher-student relationship is the essence of this tradition. At the same time, doesn’t the hierarchical nature of that relationship pose difficulties for Westerners? Reginald Ray: Often Westerners don’t see hierarchy as facilitating intimacy between a teacher and a student. Our culture has an ingrained and implicit anti-hierarchical bent, probably related to our Protestant climate. In his early years in the West, Chögyam Trungpa Rinpoche felt that the forms of hierarchy he had inherited were actually getting in the way of his relationship with his students on a dharmic level. Obviously hierarchy is very important, but at the same time it may have to undergo a shift. In fact, among Tibetan teachers, I see considerable variation in the way they approach hierarchy. Sangye Khandro: Trungpa Rinpoche taught very skillfully about the idea of natural hierarchy in Shambhala: The Sacred Path of the Warrior. No matter how much you try to go against it, the world has order, power and richness that is there naturally on a spiritual level. It doesn’t matter what culture teachers come from, Tibetan or Western. If they are qualified spiritual teachers with wisdom, they have great merit, which places them in a natural hierarchy: they are in a position to benefit others immensely. Tim McNeill: My teacher used to be very clear that tantra—far from being a system of dogma accepted on faith or authority—is a step-by-step exploration of the human condition leading to self-discovery. The fact it is empirical is what appealed to me most about it. As you gain insight, that validates what has been taught and experienced by others. Lama Yeshe went out of his way to be aware of our backgrounds and concerns, and to deal with Westerners as Westerners. He took a lot of grief in the early years from some Tibetans because he had such enduring and intimate contacts with Westerners and taught them in a different way. Melvin McLeod: Given the wide range of books and programs currently available, what is your assessment of the quality of presentation of Tibetan Buddhism in the West today? Reginald Ray: We have to make a distinction between Western teachers like ourselves and Tibetan teachers. One of the things that always amazes me about the Tibetan lamas is that they can teach in an introductory way to people who know nothing about Buddhism with the same skill that they teach at a much higher level. What I notice in myself and in other Western teachers is that we haven’t quite figured out how to do that. I think sometimes the tradition gets distorted in our presentations, particularly at the beginning levels. It’s something we definitely have to work on. Tim McNeill: We are seeing a much higher level of quality in the translation of original texts and commentary, and that is very heartening. Many Westerners are now well-trained in Tibetan and Sanskrit, and the quality of this scholarship is quite important. It’s also heartening that within academia there are so many people who are out in the open as both Buddhist practitioners and scholars. Sangye Kandro: We would benefit if we had more of the classic translations available. In the bookstores I see many general books about Buddhism, books that are more for pleasure reading. We need to make more of the classic Buddhist material available to Western readers. Melvin McLeod: Does Tibetan Buddhism lend itself to amalgamation with other traditions and disciplines, such as Western psychology or science, or should it be treated as a complete system whose integrity must be respected? Tenzin Palmo: The Tibetans incorporated the dharma into the whole of their culture—with medicine, with architecture, with poetics, with whatever was of interest to them. You can apply good basic dharma principles to everything, as the motivation behind all of these activities. Sangye Khandro: It seems important that we bring the skill of the dharma to these worldly issues, rather than trying to bring them to the dharma. Tim McNeill: At a Mind Science Conference at MIT in 1991, the Dalai Lama said that while it was very nice to have inter-religious dialogues, he felt the most fertile ground for dialogue with the West was through the psychological sciences or neurosciences. That is why he has held so many conferences with Western scientists. Reginald Ray: If we use the term “dialogue,” then I think there is a tremendous amount that can happen. But the “amalgamation” question is interesting because it is true that later in Tibetan history, after Buddhism had been transplanted, forms began to emerge that represented a coming together of indigenous traditions and the tradition of Buddhism they had inherited. In the West that process is probably going to take a long time. This may be a very conservative view, but I believe the job of our generation, and perhaps a few generations to come, is to take the Tibetan forms we’ve been given and practice them and see where they lead. Then we can look back from there and see how those forms led us to a particular state of realization. At that point the question can arise of what other forms in the culture can be integrated into the tradition. Today, you sometimes see people melding things together and creating hybrid forms, and I just think it is too early to do that. Our gift back to the tradition may be that we are willing to practice the forms we’ve been given for a few generations without fiddling around too much. 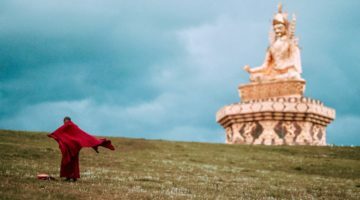 Melvin McLeod: What then needs to happen now to ensure a successful, genuine transmission of Tibetan Buddhism, and particularly the vajrayana, to the West? Tenzin Palmo: I think what we need are people who have eaten the tradition and digested it, and for whom it is nurturing their whole being. We need great, realized people who have really actuated the tradition. That is what we are lacking. We have very good scholars, but where are the Milarepas? Reginald Ray: This is a critical point and something that is not talked about enough. Dzongzar Khyentse Rinpoche said recently that he finds in teaching Westerners that they don’t believe that Western people could drink from the depths of the tradition and realize anything. As a culture, we have a poor self-image embodied, for example, in the teaching of original sin. We have to realize that until there are Western people who achieve some kind of real and authentic realization—and it may not happen in this generation—the translation and the transplantation of Buddhism to this culture will not have occurred. Tim McNeill: It seems to be all of a piece. The developing scholarship must be wedded with practitioners and monastic environments, environments that support and nurture practice. Some of that is happening; there are more places now for people to meditate in the West and to be supported by a community. Reginald Ray: The strength of Tibetan Buddhism is in the different voices—the scholarly voice, the lay voice, the retreatant’s voice. Some of us in the West tend to focus on practice as the only thing. For the tradition to survive long-term, the integrity of the diverse voices that have always been alive in Tibet must be maintained in the West. Sangye Kandro: Traditionally, the success of the doctrine is said to depend on two aspects: scriptural understanding and realization. We Westerners are now responsible for making sure that those two aspects are present in the West and can be sustained. Melvin McLeod: We have described Tibetan Buddhism as a vital tradition capable of transmitting profound realization to people of the present day. How confident do you feel that in the future this strong and vital transmission will remain alive in the West? 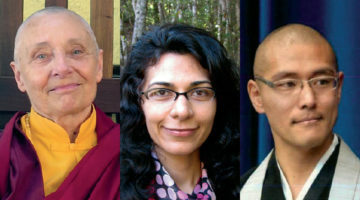 Tenzin Palmo: From the Tibetan side, I think it depends partly on whether new incarnations of all the great lamas trained in Tibet will arise, and then how these new incarnate lamas will be trained. How are the yogis and scholars going to get the kind of training received in the past so they can become genuine holders of the lineage? And from the side of the Westerners, will they have totally immersed themselves in the practice, so that their whole lives become practice, so that they become worthy vessels to be filled with the nectar of the dharma? If we are all filled with dirty water, how can nectar be poured into such impure vessels? From our side, we have to clean out, but we have to ask ourselves whether that is happening at this time. Reginald Ray: We haven’t talked very much about our cultural context. Part of the ability of Tibetan Buddhism to continue to mature in the West depends upon solving certain problems that our culture presents. One of the main ones is the problem of community. How can we create sustainable forms of community that are real communities, not just organizations? We need places where people know each other over a period of many years, where there is intimacy, where you can encounter both the negative and positive sides of one another in a way that eventually leads to the deepening and encouragement of one’s practice. Sangye Khandro: I think we need to work harder to establish more institutes of Buddhist learning with courses in traditional study, and more retreat centers. We need not only dharma centers but also places where people study courses for years at a time, and places where people enter into long-term retreat. The distinction of East and West is sometimes overemphasized. It is only based on the concept of time and direction, which has no true existence. I have one hundred percent confidence that the authentic Buddhist tradition will be sustained in the West. One day it may even happen that Buddhism in the West will be the source through which the pure traditions are brought back to the East. We have quite a responsibility that we need to acknowledge. Tim McNeill is president of Wisdom Publications in Boston. He serves on the board of the Foundation for the Preservation of the Mahayana Tradition. Reginald Ray, Ph.D., is professor of Buddhist studies at Naropa University in Boulder, Colorado. His new book is Secret of the Vajra World: The Tantric Buddhism of Tibet. Tenzin Palmo was ordained as a Buddhist nun in 1964, and spent 12 years in solitary retreat in the Himalayas. She is subject of the book Cave in the Snows. Sangye Khandro is a well-known traslator of both oral and scriptural Tibetan. She is a member of the Light of Berotsana Translation Group.